It’s a given that Sports Utility Vehicle could never take on a supercar. A Mercedes G-Class for instance, or even a Mitsubishi Outlander, would find it hard to outperform a supercar like the Ferrari. 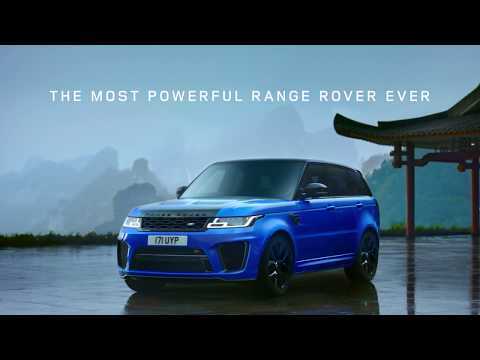 All that is about to change with the Range Rover Sport SVR from Land Rover. Driven by Panasonic Jaguar Racing driver Ho-Pin Tung, this performance SUV set a new unofficial record at Tianmen Road. Located in the Hunan Province in China, the Tianmen Mountain Road is well-known for its 99 turns, making it one of the best ways to test man and machine. The record for completing this 11.3-kilometers (7-mile) ascent was in 2016 by a Ferrari 458 Italia clocking in 10 minutes and 31 seconds. Taking an average speed of 68.8 km/h (42.8 mph), the new Range Rover Sport SVR managed to traverse the same in 9 minutes and 51 seconds. While this truly is a surprise, looking under the hood makes things a bit clearer. This new SUV is powered by a supercharged V8 engine capable of 423 kW (567 hp). It allows for a maximum speed of 280 km/h (174 mph) with acceleration from 0 to 100 km/h (0 to 62 mph) possible in 4.5 seconds. What this means is that the Range Rover Sport SVR was able to beat the Ferrari without even getting to half its full potential. In a statement, Ho-Pin Tung shared that while he was used to high speed racing, the 99 turns offered some different. With the constant twists and turns as well as the huge drop-offs to the said, he continued, the biggest challenge was to maintain concentration. He added that getting it wrong would have been a disastrous result so he focused on finding a rhythm. This was easy with the Range Rover Sport SVR as while it is indeed an SUV, it had the agility and performance one would expect from a supercar, he said further. Thus while driving skills did play an important part in this run, the dynamic responses of this new SUV also played a significant role. This record-breaking run is but the latest in a number of challenges completed by the Range Rover Sport. Just last month, the PHEV model was a complete success in climbing the famous Heaven’s Gate natural rock arch, a staircase of 999 steps with an incline of 45 degrees. The performance of the Range Rover Sport SVR, which is priced from £99,680, was made possible with bold changes to the design as well as the increased use when it comes to lightweight. This resulted in better agility, handling, and performance. Changes were also done to the chassis to allow for more dynamic responses but not at the expense of the standard range rover comfort. An SUV is not meant to outperform a supercar, but that’s exactly what happened when the new Range Rover Sport SVR took on a fearsome mountain road in China. Land Rover’s performance SUV, driven by Panasonic Jaguar Racing driver Ho-Pin Tung, has smashed the record for negotiating the 99 corners of the famous Tianmen Road. The standard production Range Rover Sport SVR set a new unofficial record of 9 minutes 51 seconds for the 11.3km ascent at an average speed of 68.8km/h (42.8mph), beating the previous best of 10 minutes 31 seconds – set by a Ferrari 458 Italia supercar in 2016. With 575PS available from its enhanced V8 supercharged engine, the new Range Rover Sport SVR is the fastest ever Land Rover and can accelerate from 0-100km/h in 4.5 seconds (0-60mph in only 4.3 seconds) with a top speed of 280km/h (174mph). The new performance flagship features bold design revisions and increased use of lightweight materials to enhance performance, handling and agility. Coupled with changes to the chassis, the new SVR delivers more dynamic responses without compromising traditional Range Rover comfort. The engineers at SVO focused on controlling pitch under heavy acceleration and braking, and changes to the damping hardware have improved turn-in, mid-corner grip and body control. The optional exposed carbon fibre bonnet is one of the distinctive innovations introduced by the experts at Special Vehicle Operations and features a pair of large air vents to underline its performance potential. A revised front bumper provides enhanced brake and engine cooling while the 5.0-litre V8 supercharged engine produces 700Nm of torque. Inside, new lightweight SVR Performance seats provide superior support and traditional Range Rover luxury with Windsor leather, an embossed SVR logo and a choice of four colour combinations. The record-breaking ascent is the latest challenge completed by the Range Rover Sport after the PHEV model made the dizzying climb to the iconic Heaven’s Gate natural rock arch at the road’s summit last month. The PHEV made its debut in a race against two-time open-water swimming world champion Keri-anne Payne and endurance athlete Ross Edgley in Devon, UK. The Range Rover Sport SVR is priced from £99,680.